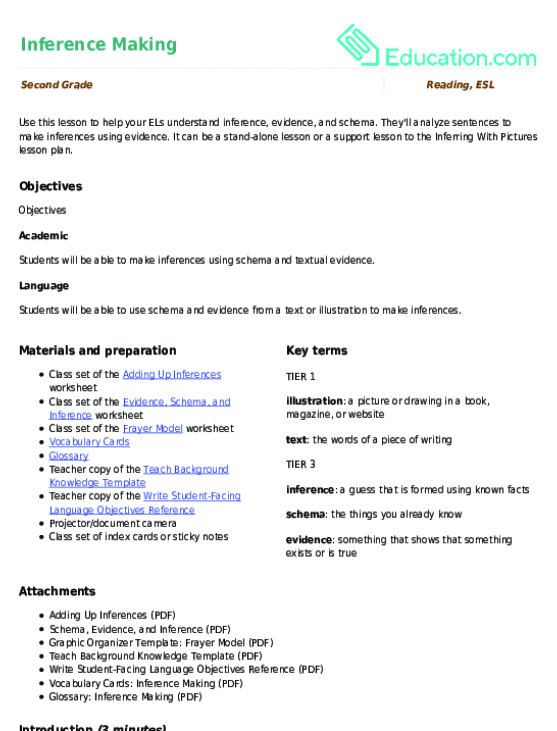 Use this lesson to help your ELs understand inference, evidence, and schema. They'll analyze sentences to make inferences using evidence. Use this worksheet as an introduction to the vocabulary in the Inferring With Pictures lesson plan. Use these vocabulary cards with the EL Support Lesson: Exploring Fictional Text.